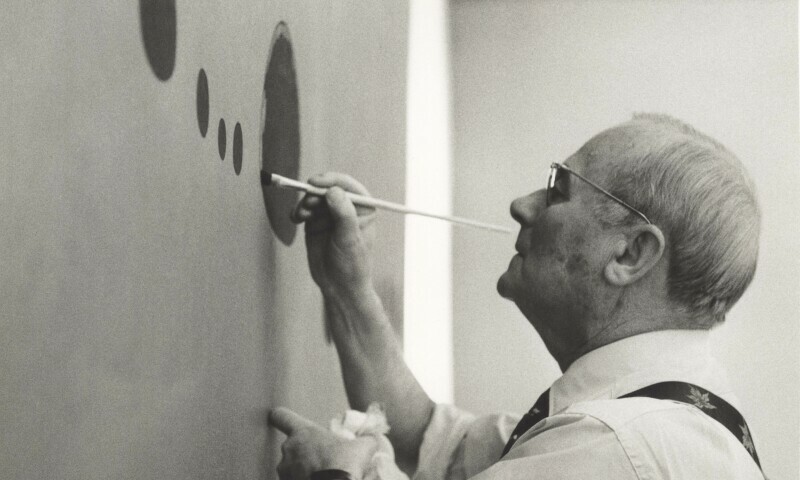 Joan Miró retouchant Bleu II, Galerie Maeght, Paris 1961. Miró transformed the world around him with an apparent simplicity of means, whether a symbol, the tracing of a finger or water on paper, a seemingly fragile line on the canvas, a line in the ground fused with fire, or an insignificant object paired with another. He conjured a world full of poetic transformations from these surprising juxtapositions and unusual marriages, restoring enchantment to the world.